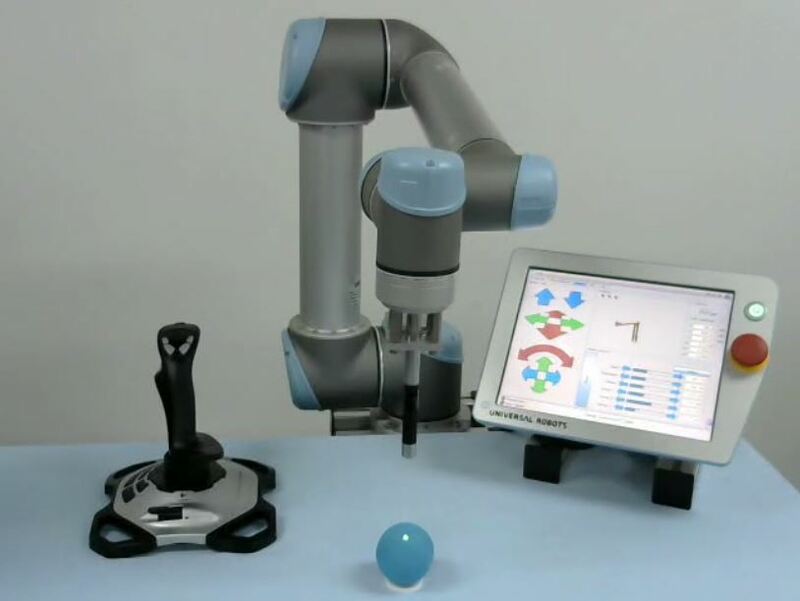 Manual: Basic joystick application controlling a Universal-Robots. 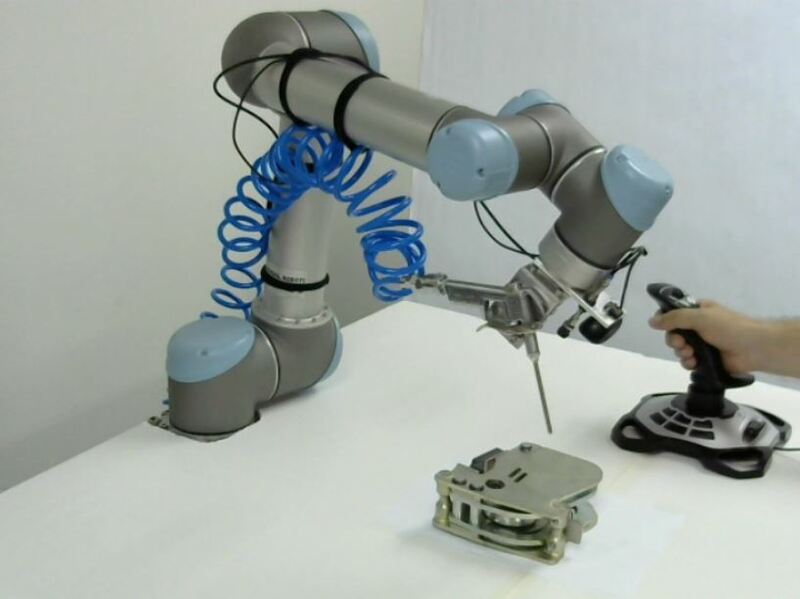 Manual: Tool Z-Rz joystick application controlling a Universal-Robots. 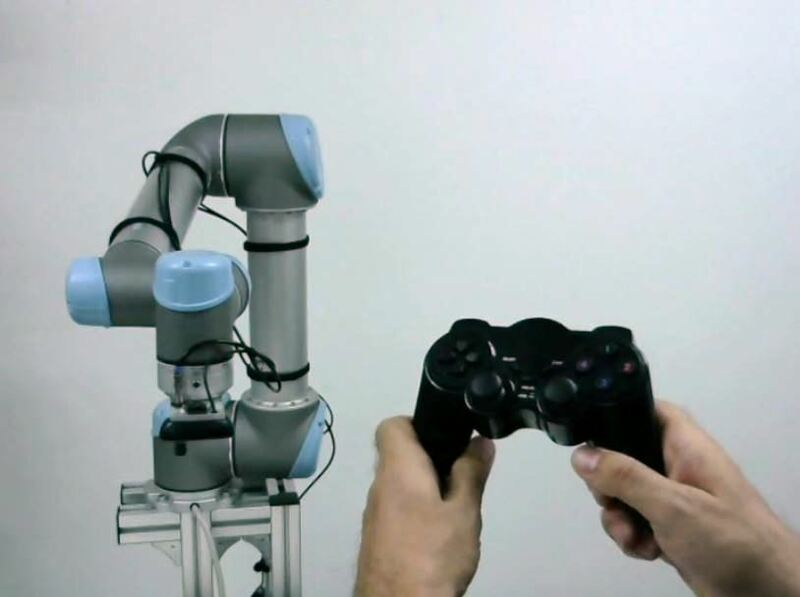 Controlling Universal-robot with 6 dimension joystick. These applications utilizes regular normal off the shelf joystick. Zacobria Pte. Ltd is a Singapore based accredited Universal Robots support Centre and Forum and authorized Robotiq and MiR distributor. The idea of the Universal-Robots is to provide users and owners that can benefit in automation a possibility to have total ownership of the application by using fairly simple � easy to source - easy to setup � easy to program and easy to maintain and easy to use components. In this way the owner of the project does not need to be dependant of an integrator or specialised engineers to reap the benefits of automation and with this idea it has already been proven possible to obtain ROI (Return Of Investment) in a few months � in many cases the ROI is under 1 year. Universal-Robots is a product of Denmark and company Zacobria develop systems related to robotics such as the entire robot cell, robot end-effectors and in this case a vision system for the Universal-Robots. Universal-Robots Zacobria grit blasting shot peening robot teach by joystick. 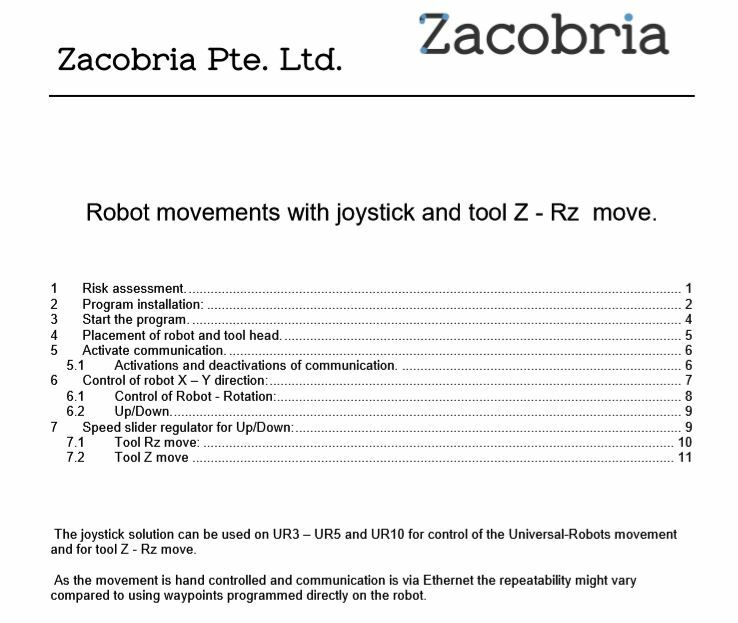 Universal-Robots Zacobria 3 dimension robot control by joystick game controller. 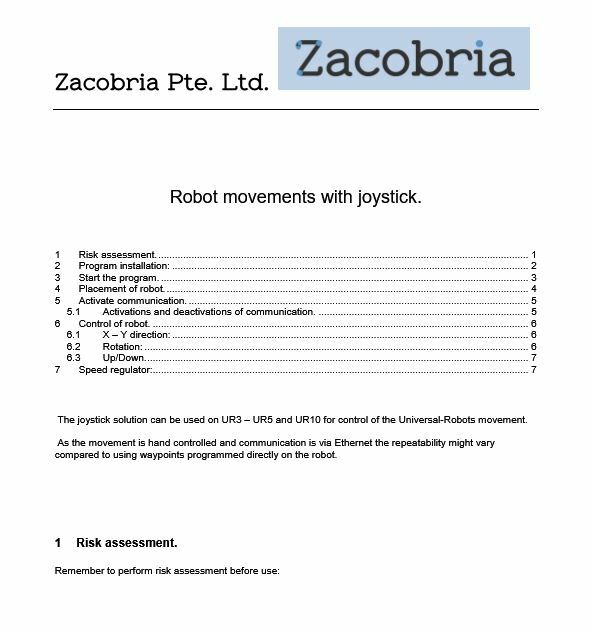 Universal-Robots Zacobria blasting robot teach by joystick.